Michael Steven Hartman was born on the 11th September 1943, in Brooklyn, New York City USA, and under his stage name Mickey Hart, he is a musician, who is probably best recognized for being one of two drummers of The Grateful Dead, a rock band. Together with another drummer Bill Kreutzmann, he also founded the group Rhythm Devils. His professional musical career has been active since the 1960s. So, have you ever wondered how rich Mickey Hart is? According to authoritative sources, it has been estimated that Hart counts his net worth at the impressive amount of $30 million as of mid- 2016, which has been accumulated through his successful involvement in the entertainment industry as a musician and drummer. 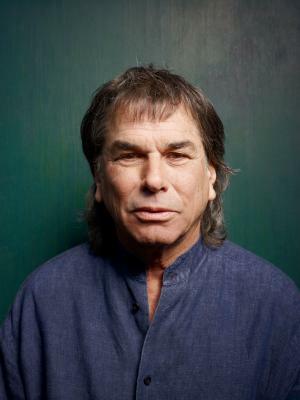 Mickey Hart was brought up in a Jewish family by his mother, Leah, a drummer, and his father, Leonard Hart, who was a champion rudimental drummer, as well as the founder of Hart Music, a store chain which sells musical instruments and drums, located in San Carlos, California; his brother is Jerry Hart, is a radio talk show host. He spent his childhood on Long Island, New York, where he went to Lawrence High School, but soon after he quit education and began traveling throughout Europe, as he joined the US Air Force’s drum and bugle corps. When he discharged, Mickey started to work in the family business, but in no time his career took the turn for better. Mickey’s professional musical career began in the late 1960s, when he joined the band The Grateful Dead. He stayed with the band until 1971, and left after several arguments with band management; however, he returned to the band in 1974, and stayed until the end of the band’s career in 1995 on Jerry Garcia‘s death. While with The Grateful Dead, Mickey’s net worth increased to a large degree, thanks to the sales of the band’s albums; the band released 17 albums, all of which helped increase the overall size of his net worth. Apart from his successful career as a member of the legendary band, Mickey is also recognized for his solo career, releasing several albums, but he has also collaborated with numerous other famous musicians. His solo albums include “Rolling Thunder”(1972), “Music To Be Born By” (1989), “Planet Drum” (1991), “Supralingua” (1998), “Mysterium Tremendum” (2012), and “Superorganism” (2013), among many others, which have also increased his overall net worth. He also started the group Rhythm Devils, alongside Bill Kreutzmann, with which he has been on tour since 2006. This has also contributed a lot to his net worth. Thanks to his long and successful career Mickey has been inducted into the Rock ‘n’ Roll Hall Of Fame in 1994, as a member of The Grateful Dead. Besides that, he is also a Grammy Winning Percussionist & Musicologist. When it comes to speak about his personal life, Mickey Hart has been married to lawyer Caryl Hart since 1990, and they are the parents of two children. 1 In the beginning their was noise. Noise begat rhythym, and rhythym begat everything else. 1 Founder of world beat band "Mickey Hart's Mystery Box"
2 Inducted into the Percussive Arts Society Hall of Fame in 2009. 3 Inducted into the Rock and Roll Hall of Fame (as a member of the Grateful Dead)in 1994. Festival Express 2003 Documentary "Blues Jam"
Warriors of Virtue 1997 performer: "Alembic" / producer: "Alembic" / writer: "Alembic"
Camp Nowhere 1994 performer: "BONES" / writer: "BONES"
Made in America 1993 "Mysterious Island"
Comic Book Confidential 1988 Documentary music: "Dark Star"
Grateful Dead: Dead Ahead 1981 Video writer: "Fire on the Mountain"